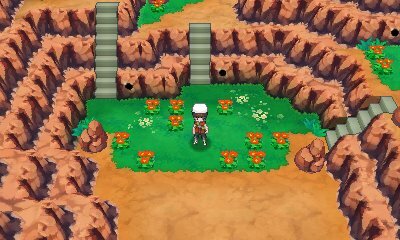 To create a Secret Base, you need to have a Pokémon knowing the move, Secret Power, and take it to one of many places in the Hoenn region. These are all indicated by a small rectangular block on walls or trees. When used, the Secret Base is open and you can then go into it. This game has a great number of Secret Base locations across the region, each with different shapes and sizes. In addition to that, three special areas are located in the game, needing Dive to get to initially, that have a lot of Secret Bases within them. You can also check on Secret Bases using the AreaNav. 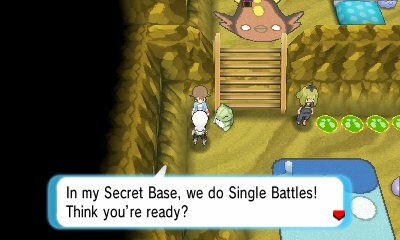 One of the core aspects of Secret Bases is the ability to share your Secret Base with other players. While in the originals, this was done simply by mixing records, in Omega Ruby & Alpha Sapphire, there are two different ways to do this. 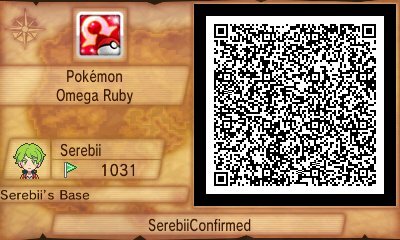 You can also gain the QR Code by accessing the special page on the Pokémon Global Link after you have done the Game Sync. This allows for sharing of the QR Code as well as the checking of teams and locations. You can set privacy settings so friends can see it and scan. 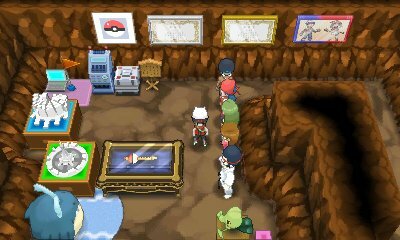 A mainstay of the Secret Bases remaining from Ruby & Sapphire is ther ability to completely decorate your base. This is done with a variety of items that you obtain throughout the game, such as as a special gift or through purchasing at stores in the game. This helps you to completely personalise the space, based upon your own likes and dislikes. When you go to other people's Secret Bases, you will meet a representation of their player. There, you can interact with these players and invite them to return to your base, to help build up a special amount of Pals. Each Secret Pal has got a variety of features that are available when you speak to them, but they can only do them once a day. Battling: The main feature is to battle the other players. 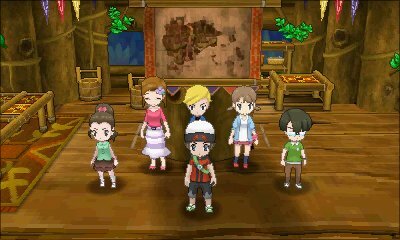 The team they use is based on the team the person had when they created the QR Code for their base, or StreetPassed their base to you. The once a day counter is separate to the Special Skills. Do Some Exercise: Boosts your Pokémon's Effort Values in a selected stat. Tell your fortune: Gives you a MAX O-Power at random. Bargain Power MAX: The fates want you to go shopping at once! Capture Power MAX: The fates want you to catch Pokémon! Right now! Prize Money Power MAX: The fates say you needn't worry about money! Full Recovery Power: The fates predict that your Pokémon will be well! If you have a person as a Secret Pal either through StreetPass or Passing By online, when you talk to them in their base if that player has collected flags today, you will be able to receive an amount of flags equal to the amount they have collected, up to 30 per player. Another feature included is the ability to set Battle Rules. 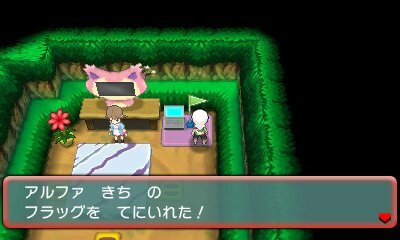 This allows for you to turn your Secret Base into a small pesudo-Gym with yourself as the Gym Leader. When your base is sent to other people, via QR Code or by passing by, your team is sent with it and as such, people can battle you once a day, and you can battle other players. In addition to that, their Secret Pals can also be battled. From time to time, The Pokémon Company and Nintendo will distribute a variety of QR Codes for special people in the franchise. If you scan these codes, it unlocks a special Secret Base which is not in any of the usual locations. In Mossdeep City, there is an oldman who stands by his door in his house hoping for a special Secret Base to appear. 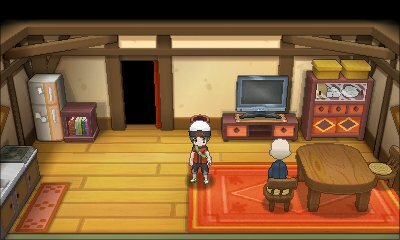 If you scan a special QR Code, the new Secret Base will appear on the other side of the door. Everything else about these bases is conventional, with the ability to battle all the characters within and to take their flag to add to your flag count.